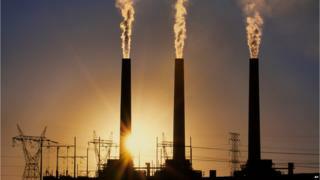 President Barack Obama's plans to regulate emissions of carbon dioxide from US power plants have been stalled by the US Supreme Court. The court ruled that the president's Clean Power Plan could not go forward until all legal challenges were heard. A group of 27 states, utilities and coal miners sought to block the proposal in the courts. They argued that the plan was an infringement on states' rights. The ruling could have significant implications for the president's attempt to cut down on carbon. West Virginia's Attorney General Patrick Morrisey called the high court's action a "great victory". "We are thrilled that the Supreme Court realised the rule's immediate impact and froze its implementation, protecting workers and saving countless dollars as our fight against its legality continues," he said in a statement. "The Clean Power Plan is based on a strong legal and technical foundation, gives states the time and flexibility they need to develop tailored, cost-effective plans to reduce their emissions," White House spokesman Josh Earnest said.